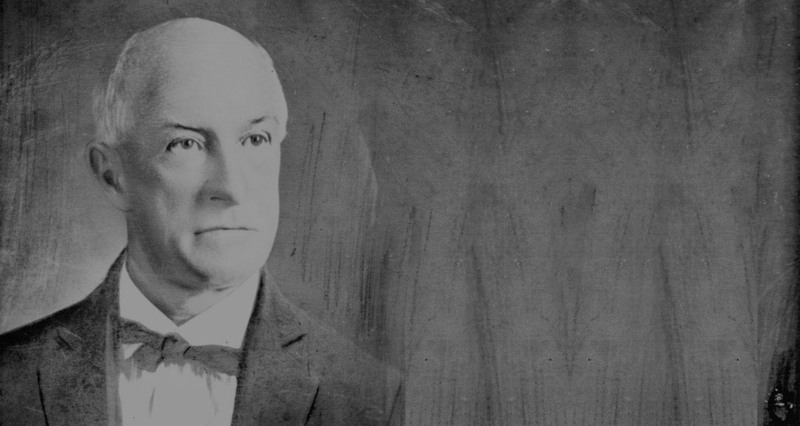 Daddy Pete was born March 7, 1860. Joseph Alan Smith founded the farm in December of 1907. He bought 102 acres of land in Stony Point, NC for the sum of $2,500. Joseph then built the farmhouse and barns from timber cut from the land. After clearing the land, he built fences and sowed grass to prepare the farm for raising beef cattle. Molly, Joseph's wife, nicknamed him "Daddy Pete", which is where the name of our farm and business comes from. The original farmhouse built by Daddy Pete in the early 1900's. 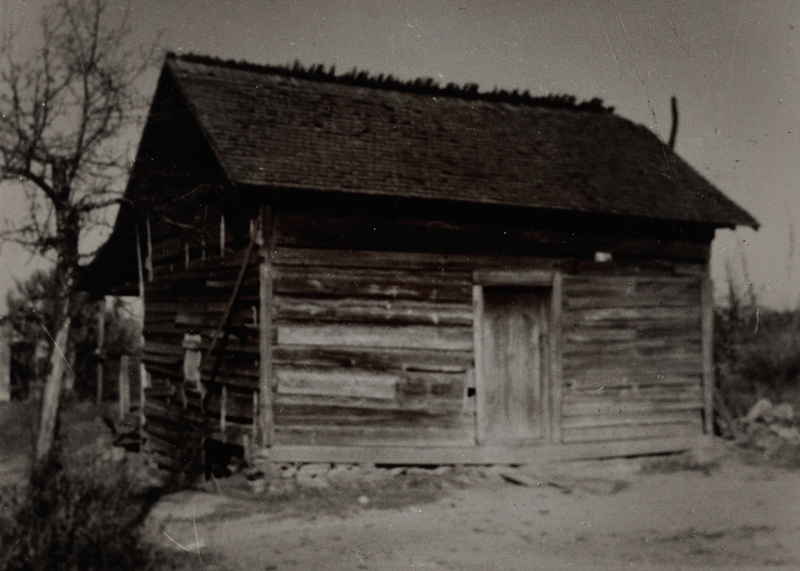 This century old farmhouse still stands on the farm today and is lived in by Daddy Pete's great, great grandson, Joseph Alan Smith and his family. Daddy Pete's herd of beef cattle. This is one of the barns built by Daddy Pete. Daddy Pete's son, Sledge, took over the farm after the death of Daddy Pete. 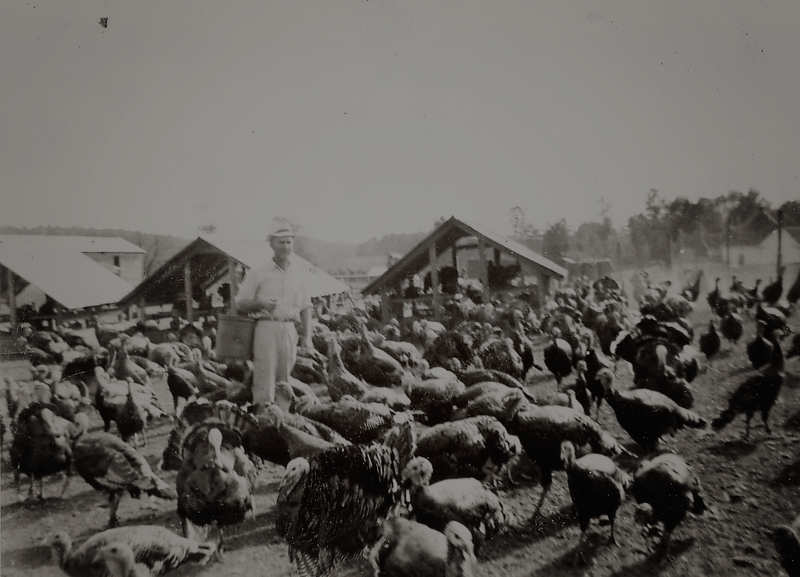 Not only did Sledge continue raising beef cattle, he also raised free range turkeys (pictured) and served as sheriff of Alexander County from 1950 to 1959. Sledge's son, Gar, graduated from N.C. State University with a degree in agriculture and was a World War II Navy test pilot. After the war, Gar came back home to Stony Point where he married and had three children. Gar's only son, Alan, was next in line to continue the family farm. Gar's son, Alan, founded the dairy in 1972 and then Daddy Pete's Plant Pleaser in 1990. Alan continues to oversee and operate all 3 companies of Daddy Pete Farms: Daddy Pete Dairy, Daddy Pete's Plant Pleaser, and Daddy Pete's Transport. Alan's son, Joe, has worked on the farm since he was a teenager and continues to manage the dairy today. He lives with his wife and 2 children in the original farmhouse on the property. Through these many generations, farming traditions have been passed down. There have been failures and successes of ideas to create the good farming practices and products that have stood the test of time. Daddy Pete at one time had two different farms: the present location, as well as a “bluegrass” farm in Wilkesboro, N.C. It was approximately a 25-mile drive with horse and wagon between the two locations. Daddy Pete hauled the cow manure from the current farm in Stony Point to the “bluegrass” farm in the hills of Wilkesboro. At that time, cow manure was one of the primary sources for fertilizer to the grasslands and to the crops and to Daddy Pete’s livelihood on the farm.